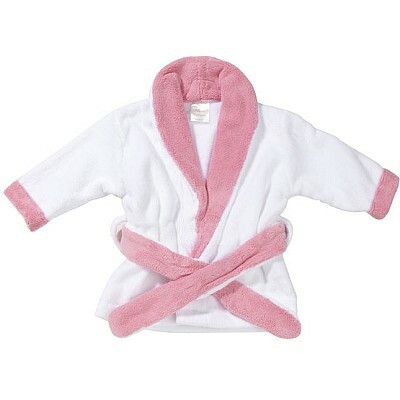 On May 26, 2011 Health Canada recalled Katie Little Infant Bathrobes by Kids Line. This recall involves 100% cotton terry cloth bathrobes with micro fibre trim, size 0 to 9 months. The bathrobes are white with various colored trim and detachable belt available in blue, pink, fuchsia, orange, lime and chocolate. "Katie Little for KIDSLINE" is written on the neck tag. The recalled bathrobes do not meet the design and flammability requirements for children sleepwear under Canadian law. Children sleepwear that is loose fitting or that has loose edges can contact ignition sources such as stove elements, candles, and matches more easily than tight-fitting sleepwear. Once ignited the sleepwear can burn rapidly and cause severe burns to large areas of the child's body, resulting in shock and sometimes death. At time of the recall neither Kids Line nor Health Canada have received reports of incidents or injuries related to the use of this product. You should immediately take the recalled sleepwear away from children and return it to the place of purchase for a full refund. Approximately 1,200 units of the recalled bathrobes were sold at specialty stores for children across Canada. The recalled bathrobes were sold from October 2007 to May 2011. These bathrobes were manufactured in China. The manufacturer is Kids Line LLC of South Gate, California.